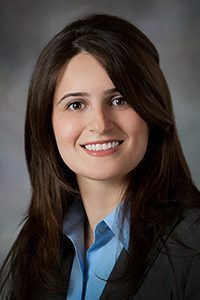 Iowa State and Institute for Transportation researcher Alice Alipour has earned a prestigious Faculty Early Career Development (CAREER) award from the National Science Foundation. Funding from the award will support her research team’s goal of creating more resilient electric power networks that can hold up under extreme weather conditions and aging effects. Alipour is an assistant professor in the Department of Civil, Construction and Environmental Engineering.